BibEc database: an index of working papers both on and off the web. A truly excellent resource. Econlit: available by subscription only, but has extensive citations of published work. ResearchIndex: like the social science citation index, but freer and better. Christian Zimmermann's Real Business Cycle Pages: an excellent guide to web resources on stochastic general equilibrium theory and related modern macroeconomics. Bob Parks' Economics Working Paper Archive: an extensive collection of working papers in all subjects in economics, and many links to other research sites. John Iron's Economics Guide: an annotated guide to economics resources on the web, plus some general interest material for non-economists. Christian Zimmermann's list of economics institutions with a web presence. John Irons list of economists with home pages on the web. EconomicsSearch.Com is an informational site for economics students, and has a good, well organized collection of resources, including on-line textbooks and courses. RationalExpections.com another informational site, just getting started. The Grand Coalition Web Site by Rod Garratt and Guillaume Haeringer is devoted to the cooperative and noncooperative study of coalition formation. Although just getting started, it already has lots of good material. Didactic Web-Based Experiments in GAME THEORY by Ariel Rubinstein and Eli Zvuluny is a resource instructors can use to develop on-line instruction. Aplia is a commercial enterprise headed by Paul Romer to provide resources for instructors to develop on-line instruction. Herb Gintis's Home Page: His papers along with provocative and interesting commentary. James Andreoni's Home Page: His papers and a very useful bibliography on altruism. Ted Bergstrom's Home Page: Amusing, papers, home of the campaign against rogue journals and lots of good information and links. Michele Boldrin's Home Page: Best pictures on the internet. Some interesting research as well. Peter Crampton's Home Page: A well organized site with the full text in PDF format of all of Peter's papers. J.M. Bilbao's Seville Game Theory Group: A well organized page with his papers and good links. Drew Fudenberg's Home Page: HTML abstracts of game theory papers by Drew. Sergiu Hart Game Theory and Economic Theory: HTML abstracts and some PDF manuscripts of papers by Sergiu on game theory and related topics. Larry Jones Home Page: Some great pictures of fish as well as interesting research. David Levine's Economic and Game Theory Page: highly recommended of course. Tim Kehoe's Home Page: recent papers. George Mailath's Home Page: Working papers in both acrobat and DVI format. R. Preston Mcafee's Home Page: All (73 at last count) of his papers available on-line, plus a very cool menu system. And download his Creative Commons Licensed textbook. Roger McCain's Game Theory: An Introductory Sketch: A fine on-line introductory essay; a mini-textbook in fact. 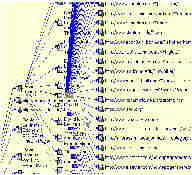 Richard D. McKelvey's Home Page: Abstracts and postscript versions of papers and an interactive computer program called GAMBIT for analyzing games. Steve Morris's Home Page: With working papers in PDF. Martin J. Osborne's Home Page: Conjectures, several papers (in postscript) and errata for his book with Ariel Rubinstein. Tom Palfrey's Home Page: The usual stuff, plus a really good listing of links to experimental laboratories. Wolfgang Pesendorfer's Home Page: With recent working papers in PDF format. Al Roth's game theory and experimental economics page: Some surveys by Al on game theory and experimental economics, all in HTML format. Excellent list of resources on experimental economics. Ariel Rubinstein's Home Page: Links to papers and abstracts can be found on his vita. Thomas Sargent: Working papers and book chapters in postscript format, plus many matlab programs. Karl Shell: A model homepage - includes all of his papers, together with some introductory material providing highlights. Avner Shaked's Home Page: The abstracts have links to the full text of the working papers (PDF, postscript). John Van Huyck's Web: Game theory and experimental economics, including pdf and postscript versions of recent papers by John on learning and experiments in games, and HTML abstracts of published papers. There is also a forum for the discussion of experimental results. Home Page of Rakesh Vohra: Of particular interest is his "Must Read" section, basically on-line reviews of recent papers he has found particularly pathbreaking. Mark Walker's Web Page: Including HTML abstracts of his recent research on mechanism design and learning in an experimental setting. an extensive list of economists home pages can be found on John Irons site. Al Roth's Bibliographies, plus links to yet more bibliographies. Theoretical Economics: The new open access journal in Economic Theory. It is a traditional refereed journal intended to become the premier specialty journal in economic theory. The journal does not take your copyright as do commercial journals. It makes the paper freely downloadable, and to guarantee the widest distribution and exposure for your paper, you release it under a Creative Commons License, making it freely redistributable by everyone. BE Press: Several commercial online journals. The licensing agreement: you give them exclusive electronic rights to the paper [apparently only for a year], and may reproduce the paper electronically only on your own or institutional non-commercial website. This is just as well, because they also plan to charge people to view your paper. BibEc database: This is not actually a journal: it is an index of working papers both on and off the web. It is much more useful than a journal. Economic Bulletin: A new non-commercial effort to preempt the hardcopy journals. The licensing agreement: you grant them only the right to do what they want with the paper; you can also do whatever you want with it, provided you acknowledge prior publication in the Bulletin. JSTOR: images of back issues [if your library subscribes] for major economics journals. The only remaining commercial publisher, Elsevier does not allow their back issues to be made available through JSTOR, preferring to provide the service themselves. Unfortunately they do an awful job of it. Elsevier has home pages for its journals. Unfortunately, a subscription is required to the abstracts; only the titles of articles are available to non-subscribers. A very badly designed site. They now own Academic Press as well. Here is my old review of the Academic Press site: Academic Press: full text of articles [if your library subscribes] plus abstracts [even if it does not] for their journals. Inadequate capacity for the site means you can only browse weekends and evenings unless your library has a subscription. In addition to failing to provide back issues, there is something wrong with their server: on my system at least, their pdf files appear to be blank. I think it is fair to say that I have no confidence in the ability of commercial publishers to use the net. MIT Press: contents and abstracts, as well as instructions for authors. Fortunately, the QJE at least is available also through JSTOR. SSRN: Marty Feldstein tries his hand at a for-profit website. NBER working papers for a fee. The Economist Magazine: including the table of contents and a few selected articles. This is a pretty feeble list of organizations. For a really good list go to Christian Zimmerman's site. Minneapolis Federal Reserve Bank: working paper and Quarterly Review abstracts and some full articles in postscript and/or acrobat. UCLA Economics Department: many resources, especially for students, including those who may be thinking of attending graduate school here. Davidson Data Center and Network jointly funded by the NSF and the William Davidson Institute this is a searchable database on transition and emerging markets; the data is available online free of charge. Federal Reserve Economic Data, from the St. Louis branch. aireconsim.com online game for teaching economics. Word2tex this is an amazing program because it can convert word documents, including mathtype equations to tex; and decent tex at that. One warning: you must have MS Word to run the program: it enables you to save from word into the tex format. There is also an equally amazing program to convert tex2word. If you use Linux you should be aware of vmware which provides pretty complete backwards compatibility with all versions of windows by running a virtual machine inside an XWindow. You must have a copy of windows you can install in this virtual machine. You should be aware that kernel updates often break vmware, although usually only in small ways. You should also take a look at crossover office. This is a custom version of wine which provides API compability with windows. Unlike vmware, this does not require windows; on the other hand it does not work as well. The current version of wine is good enough to run all of microsoft office, quicken, and most importantly mathtype (5, not earlier versions). It also runs word2tex (but I have not been able to get tex2word to work). Numerical Recipes including the full text of the book. For those that don't know, numerical recipes provides source code and commentary for many important numerical methods. The zero-sum game solver on this cite is based on a numerical recipes linear programming routine. Mathtype, a really good version of the equation editor that comes with MS Word. Scientific Workplace, It does do TeX more or less on-screen, and has the Maple engine built in. Too bad they feel the need to embed a great equation editor in a lousy word processor. If you have Linux, take a look at lyx, an open source program similar to scientific workplace. It doesn't do the maple stuff, but on the other hand, it works a whole lot better.